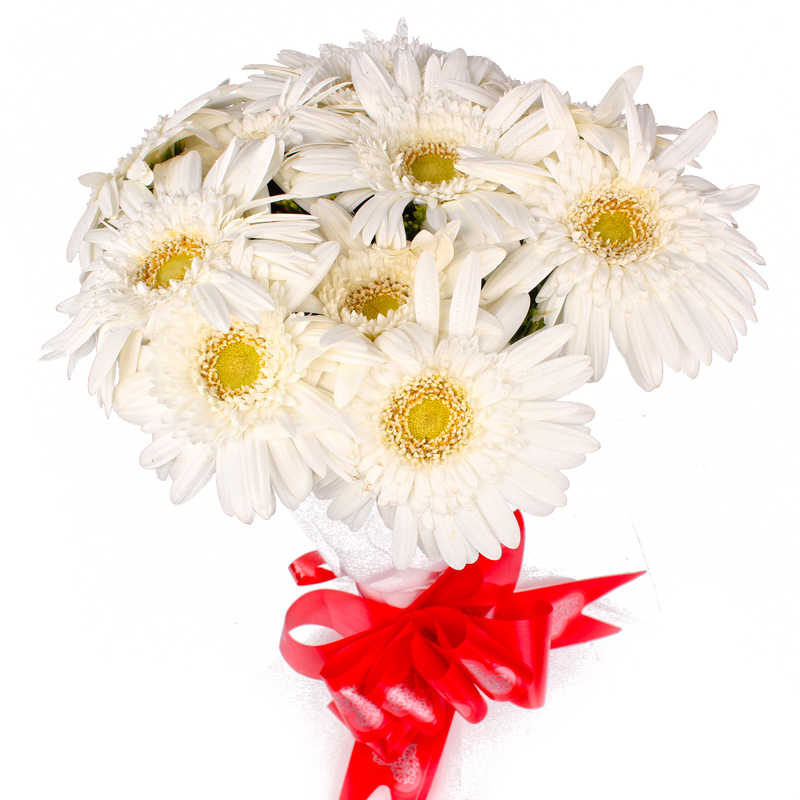 Product Consist : 10 White Color Gerberas with green fillers in Tissue Wrapping with Ribbon Bow on it. Spread happiness with elegant gifts on special occasions of dear ones. 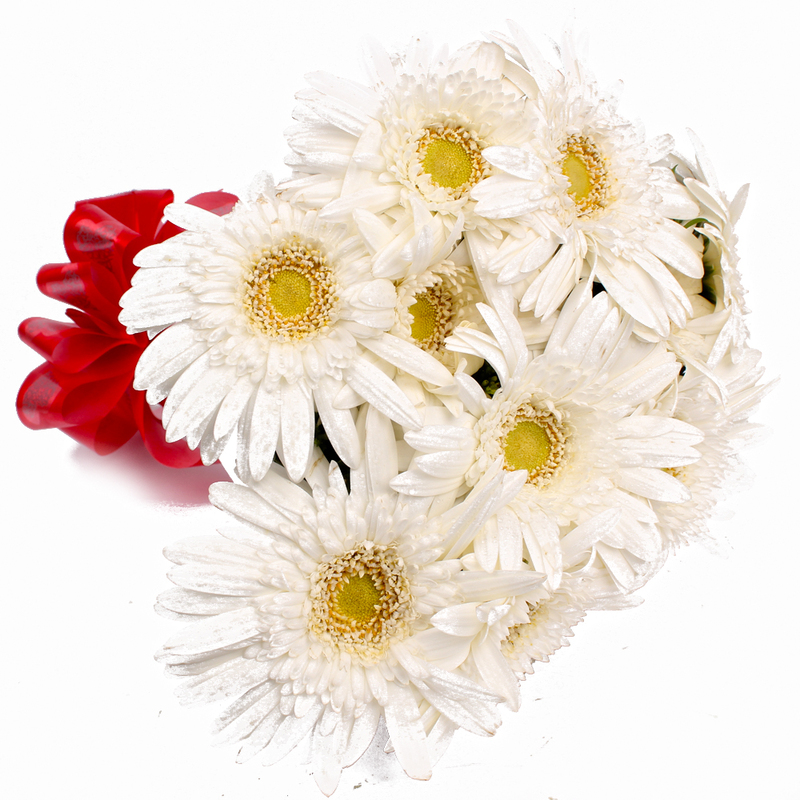 This is a suave bunch of Ten White Gerberas that look simply gorgeous. 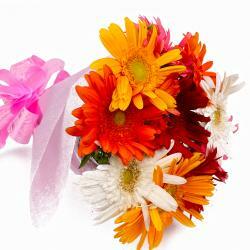 These lovely garden fresh blooms are stylishly adorned with Tissue paper wrapping and are tied with matching ribbon in bow shape to add appeal to it. 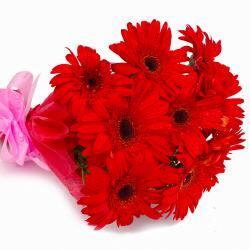 This incredible bunch of flowers makes for a perfect gift to make loved ones smile on special occasions like Birthday, Anniversary, New Born, Janmashtami, Grandparents Day, Baby shower, House warming, Christmas and so on. 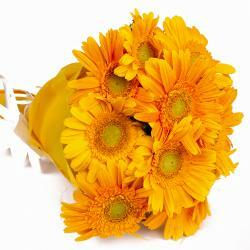 So go ahead and make it a memorable celebration for them by ordering this awesome gift from Giftacrossindia.com. 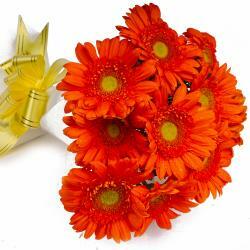 Product contains : Ten White Color Gerberas with green fillers in Tissue Wrapping with Ribbon Bow on it.